Khao Yai, relatively unknown outside of Thailand golfers, is a mere 2 hours from Bangkok and is the home of Thailand’s second largest national park. Will this area develop into a full-fledged golf destination for tourists? Thailand golf courses are notorious for having soft sand. Many of the budget courses here use normal beach sand to fill their bunkers. This powdery and fluffy sand tends to promote many fried eggs or as the caddies call them in Thai “kai dao” because of the circular splash pattern created around the ball in the sand. When you look at it from the top, it looks like a yolk sitting in the middle of a fried egg. Don’t panic if you find yourself with a fried egg at a Thailand golf course. The shot is difficult for sure, but easier to hit than you might think. 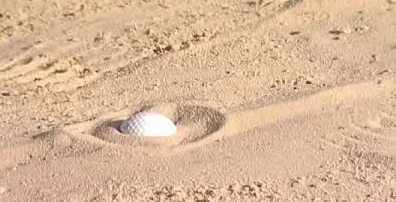 With soft sand behind as well as under the ball, you can power the ball out of the sand to escape in one. Make some key adjustments to your stance and swing and you’ll get out. As the name suggests, Blue Canyon Country Club is built on the edge of the canyon. The club features two courses; both carefully blend in the natural surroundings to give the courses their unique character. A feature of the course is its tough and stubborn nature, surrounded by freshwater lakes and natural hazards accompanied by slick Bermuda Tiffdwarf greens. This Course is both a pleasure and grief blended in together. Challenging your wit and technique, this course is a joy to behold and after finishing a round, the sense of accomplishment is unparalleled. Definitely the highlight of the course the 17th par 3 hole that has famously troubled even the legendary Tiger Woods, so if you get to finish the course you will join the elite club. 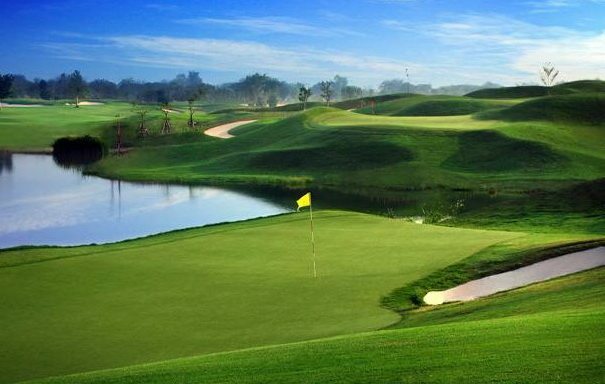 Vietnam’s Montgomerie Links is a world-class, partially private and perhaps the swankiest course you’ll find around the Asian golfing circuits. With its close proximity to the country’s Central Coast and Da Nang International Airport, Montgomerie Links is ideally situated alongside the East Sea and the picturesque Marble Mountains. The view alone is worth a trip, and also provides a good outlet to regroup mentally as the course is a definite brain teaser for amateurs and Pro’s alike. 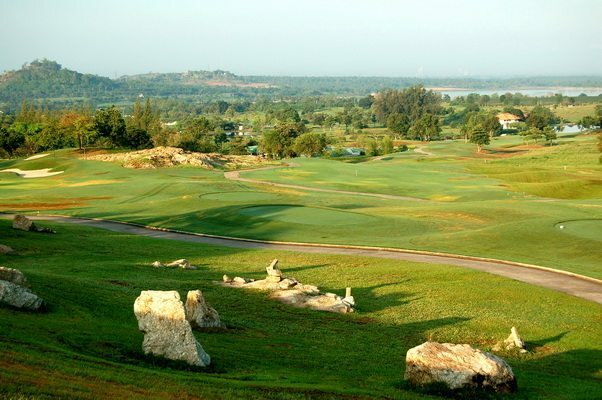 The 18-hole, golf course was designed by the renowned, Colin Montgomerie. Also known by its nickname "The Cobra" and many have tried to doge its bite but, the golfers are the ones who keep biting the dust. The Saujana Palm golf course has had the privilege of hosting the last 13 Malaysian opens and is a mainstay of the Asian golfing circuit. With thick forestation on either side of the course, and the many fairways, water, and sand hazards in sizeable proportions, just getting to the green might prompt you to high five your caddie. Past winners of the Malaysian open include the former world number one, Fijian, Vijay Singh. The Cobra's with its oober fast putting surface is probably the hardest to putt on in the world, including those at Augusta. Only the best survive the course, others simply lie. 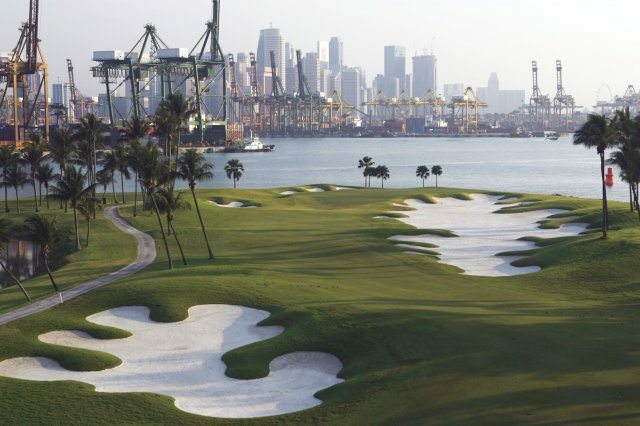 If you think the local courses around you don’t challenge you enough may want to consider an Asian golfing vacation to these tough and exotic courses. They will challenge you to improve every aspect of your game, and if you ever get frustrated with yourself, there is enough beauty around to calm yourself down so that you can conquer the course. 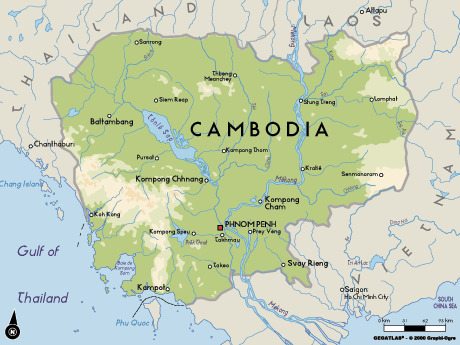 Cambodia (6): Golf in Cambodia has been introduced only in the last 10 years and as such there are only 6 courses, 3 in Phnom Penh and 3 in Siem Reap. Although Phnom Penh is the capital the courses here are either private (Phnom Penh Grand) or in serious need of maintenance (Cambodia Country Club and Royal Cambodia). On the other hand the three Siem Reap golf courses welcome visitors and are in good condition. 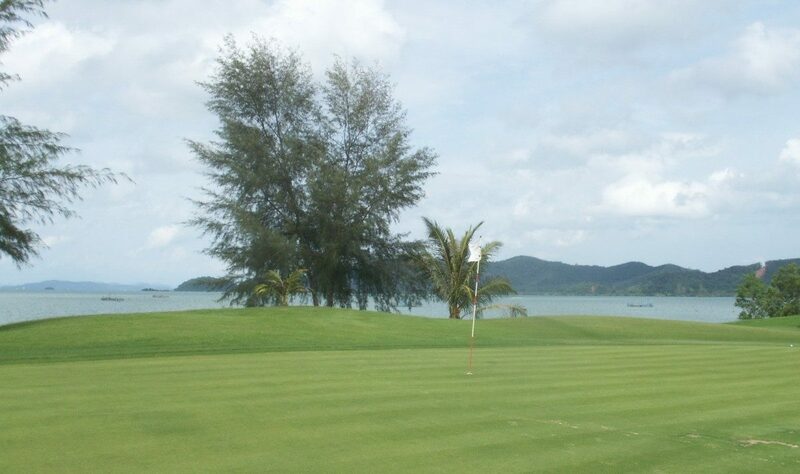 Thailand (7): Golf in Thailand has been played since the early 1900’s. There are now over 250 golf courses in Thailand and the standard varies from average (Pinehurst) to world-class (Black Mountain, Siam CC, Thai CC). Cambodia (8): Service levels at Cambodia golf courses are quite good especially considering how new golf in Cambodia is. Caddies are supplied at all courses and they help visitors navigating the courses for the first time. Thailand (10): The best thing about golf in Thailand is the service. From the moment you land to the time you leave Thai hospitality is first class all the way. Some people say other countries might catch up to Thailand in the future. However, it is hard for me to believe as service is not learned in Thailand; it is a way of life. Not a day goes by where Thailand golf travelers ask me the best way to get to their Thailand golf destination. These days for international flights into and out of Thailand, I am partial to the carries from the Middle East for several reasons. 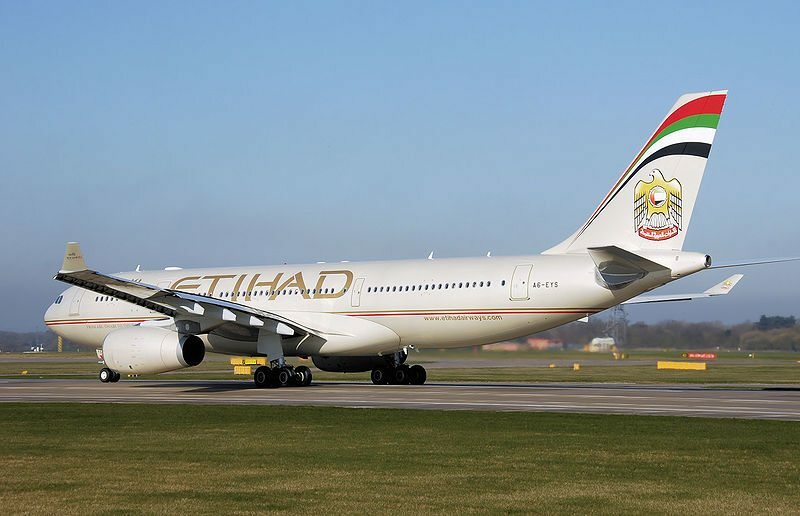 Emirates, Etihad, and Qatar all have convenient flight schedules from practically every major European, American, and Australian hub city. Luggage allowances are generally more than the Asian national carriers and golf bags may even be carried for free, depending on your class of service. The airfares via the Middle East to Thailand are some of the lowest in the world. On board food, entertainment, and service are all world class. For domestic connections for golf in Phuket or golf in Chiang Mai, Thai Airlines is by far the best choice. Regardless of advertised price, the low cost airlines like Air Asia are terrible, especially when travelling with golf bags. Moreover, when trying to change flight or if you have a missed connection, good luck in getting any money back. You will be stuck with your originally “low cost” ticket as a costly souvenir! Everyone knows that great golf, fantastic culture, and a comfortable resort are all key ingredients of a successful Thailand golf trip. However, the importance of a qualified driver who doubles as a friendly tour guide is often overlooked. I’ve had the opportunity to meet several godsends as well as some more goofy type drivers during my Thailand golf travels. 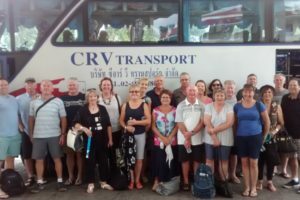 On the positive side, golf tour operators who employ their own salaried drivers usually can make a Thailand golf holidaymaker’s trip very rewarding. The drivers who work for these companies have superior English language skills and can discuss everything from Thailand’s historic past to the state of Thailand’s economy. Also, what a relief one gets from not having to stress about navigating to/from the golf courses each day. It is so smooth that the kilometers on the road just melt away and some even wish that their journeys golfing in Thailand were longer than the typical 30 minute transfer time from hotel to golf course. On the other hand, drivers with little (or no) English ability are often the norm when driving is outsourced or subcontracted out to a local transportation company. 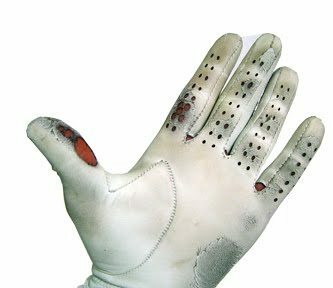 Not only does this lead to frequent miscommunications between Thailand golfers and their driver, it also defeats one of the main benefits of golfing in Thailand in the first place. That is to enjoy cultural interaction with the locals. Finally, drivers who are not specialized in Thailand golf tours may not even know the way to get to the golf courses as many courses have very similar sounding names, even for Thais (e.g. Royal Gems and Royal Gems City). was named the second best layout in the region. round, if you don’t have much time or have too much of it. Thailand site to learn more about those! Playing golf in Thailand is an experience every time you tee off, and certainly that is what you get when you step up to the tee box at Panya Indra Golf Club. Not far from the center of Bangkok, this 27-hole golf club is open for both day time and night golf. The course was designed back in 1989 by U.S. designer Ronald Fream. Fream used only 800 rai of land just outside Bangkok to make you forget that you are on the outskirts of a major city. There are three separate 9-hole courses, with their own individual design aptly named the Lagoon Course, Palm Course or Garden Course. The Bangkok golf course was so clever that they constructed a man-made dyke around the course to protect it from last year’s floods. It worked and in spite of water in the roads outside the course, the course was kept dry and is now in pristine condition. Many golf course designers forget that 90% of the players who will try to conquer their golf course are likely to be weekend or holiday amateurs, not golf professionals. 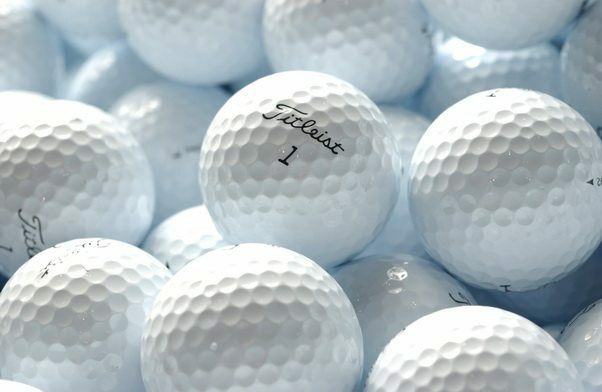 To Bring Or Not To Bring Golf Balls For A Thailand Golf Holiday? If you are planning Thailand golf holiday and want to stock up with some golf balls prior to your trip; DONT! Packing golf balls with your golf clubs or in your luggage will not only encroach on your free weight allowance (if you are not overweight already), it is also less costly than you might think to buy golf balls after you arrive in Thailand. If you have ever been golfing in Thailand before, I am sure you may have seen locals stripping off at the end of the day and swimming around the lakes and canals that line the fairways of most Thailand golf courses. They are not doing it for fun, but are gathering all those lost balls we love to hit into the water. Some call these guys crocodiles, fish, or other such name. However, the true technical tem is “golf ball diver”, a legitimate and respected, not to mention lucrative, profession in Thailand. As you can imagine there is a thriving gently used golf ball resale market in Thailand. With over 200 golf clubs with on an average weekend 150 golfers per course losing an average of 4 balls a round means we giveaway 120,000 balls just on one day. That’s a lot of Thai golf balls! Come rain or shine, family vacations, or business meetings, we all make all the excuses needed to arrange that very crucial meeting which just happens to clash with golf. That is our ‘speak’ for sod it I am going to play golf anyway. 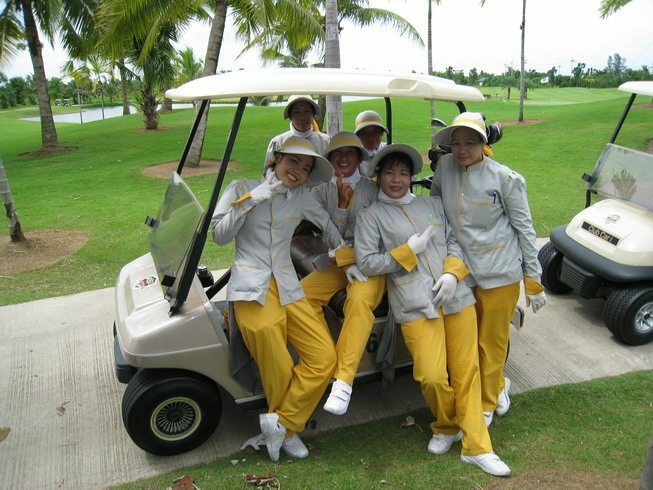 Here golfing in Thailand, a lot of business is conducted on the golf course. Golfers in Thailand often travel with their so-called business associates and in some companies; it is seen as an asset if you play golf. There are amateur tournaments, club tournaments, Pro Ams, weekday shotguns, and social expat clubs, all where you can join do some serious networking. In fact, I am running a couple of events myself. 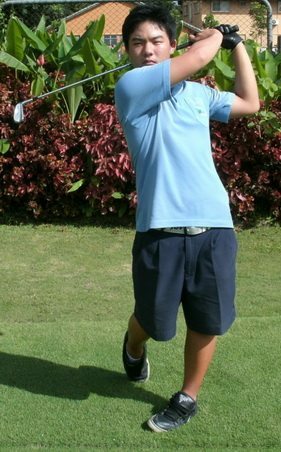 They are the 2011 Phuket Amateur Week, 1st Team Amateur Championship, and the 2011 Chiang Mai Amateur Week. All three are good examples of how you can make your Thailand golf tour around a competitive golf events and ‘legitimize’ your Thailand golf holiday to the missus at the same time. The Asian Tour and One Asia visit Thailand several times a year along with the LPGA. In fact the next event is the Thailand Open at Bangkok’s Suwan Country Club in August. These events are good for Thailand golf visitors to play in the pro-am and rub shoulders with some of the world’s best golfers. It’s amazing how many slots on the tournament’s Pro Am’s are not taken up by the main sponsors. Case in point, last year’s European Seniors Open at Royal Gems did not have enough amateurs to fill its field. Moreover, 2 years back I managed to get slots for 12 Phuket golf visitors at the Thailand Open at Laguna Phuket Golf Club and this was undoubtedly the highlight of their Thailand golf holiday. Pro Ams are an experience golfers in Thailand are unlikely to forget. Playing golf in Thailand is not just a sport, but can be a lot of entertainment too. There are none of those stuffy club secretaries wanting to see your accredited handicap card here. No, just turn up, give your clubs to the smiling door man and you are off. I was invited to play at Burapha Golf Club with some tourists enjoying their golf vacation in Pattaya. When I arrived at Burapha I was surprised to see so few people on the Pattaya golf course. Of course every day in Thailand is a holiday, and so there are not too many Thai golfers during the slow golf season from April to October. Shorts seemed to be the relaxed dress code of the day, both for men and women. 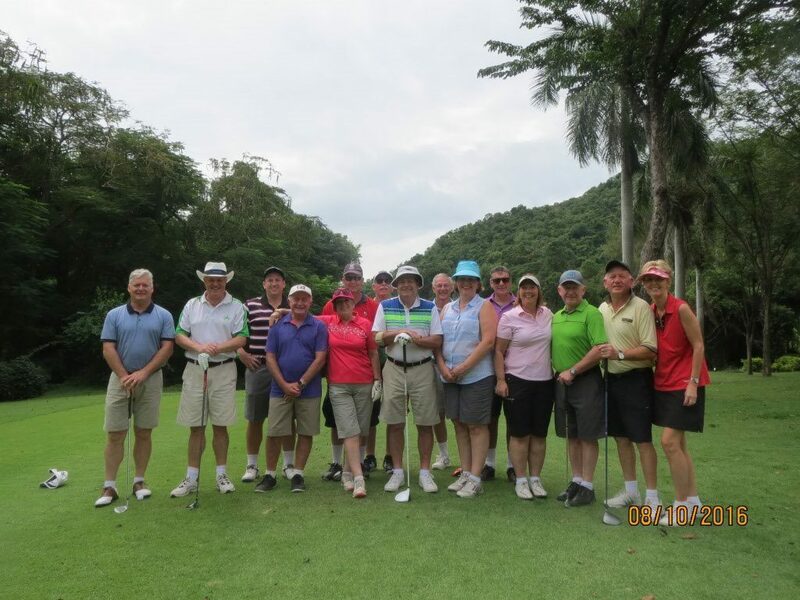 Most of the golfers at Burapha were expatriates of golfers from overseas! 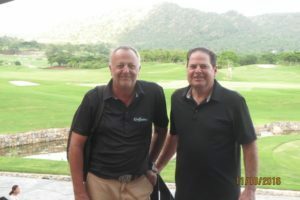 I was joined up with 2 other golfers on their first Pattaya golf holiday. Burapha has 36 holes and you can play a combination of nine holes. Better players cover course B and D which was the venue used for the Thailand Open. We played course C and finished on course D.
I have to be honest that there are lot more ‘Wow’ factor golf courses in Thailand, however the course still offers a fair game for all levels. There are flat holes with wide fairways, and long par 4’s climbing up to the mountains with incredible views across the region. Living in Thailand perhaps we take for granted the pleasures of playing a round of golf. In most of Europe and the USA, snow has put a damper on all hopes for that post New Year round with your golf buddies. Can’t get the car out of the deep drifts!!! Here in Thailand we are experiencing our own winter weather…. a beautiful 25 degrees centigrade with a cool breeze! How about those dreaded rush our traffic jams or clogged city roads? No panic with the traffic to get to the course on time in Thailand though. Just relax in the back of your limo, while your driver takes you directly to the course. 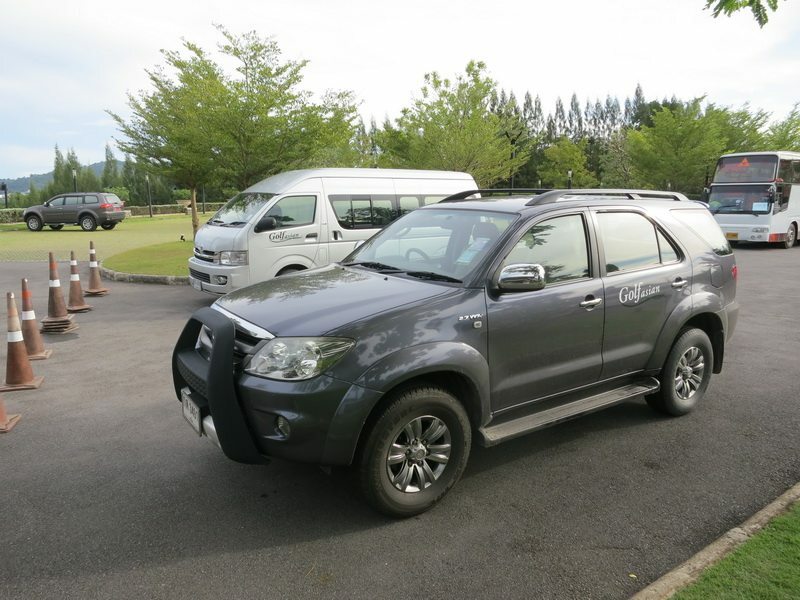 Upon arrival at any Thailand golf course, open the car door and immediately a smiling caddie says ‘Sawadee Ka ‘ and will take your clubs from you, and may even offer you a welcome drink and a cold towel. Once you have registered, changed and found your golf buggy, it’s off to the practice range to hit some balls. Here your caddie will hand you your clubs and even pick up your balls from the pitching area after you hit. When it’s time to go, the starter will check your ticket, and then you are all ready to golf. We all get bombarded by travel agents jargon or see the Tourist Boards latest TV adverts extolling their countries fantastic features. One such feature here in Thailand is golf! Well I can safely say that Thailand golf is in a very healthy state here in the Kingdom of smiles with thousand of overseas players playing here every year. But it’s not just the tourists who love it here, so do the professionals who make their living out of the game. Thailand recently hosted the 5th edition of the Royal Trophy, Seve Ballesteros’s version of the Ryder Cup, with Europe playing the best of Asia. 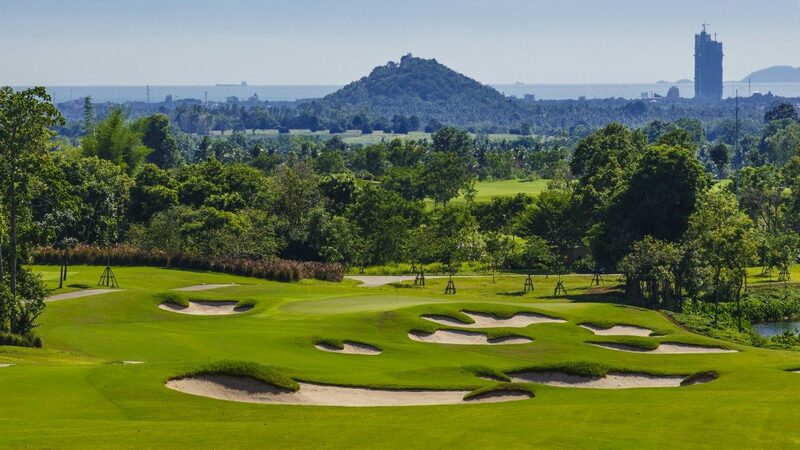 This year’s edition moved down to Hua Hin’s Black Mountain, one of my favourite Thai golf courses. It seems that several of Captain Colin Montgomerie’s team also agree with me too. Smiling Caddies, Sunshine & Great Golf! Living here in Thailand perhaps we take for granted the pleasures of playing a round of golf. Back home in Europe, the snow has put paid to the pre Christmas round with your golf buddies. Can’t get the car out of the deep drifts!!! Here we are experiencing our own milder weather… still a beautiful 25c with a cool breeze! No panic with the traffic to get to the course on time here though. Just relax in the back of your limo, while your driver takes you directly to a Thailand golf course. Open the car door and immediately a smiling caddie says ‘Sawadee Ka ‘ and will take your clubs from you, and will even offer you a welcome drink and a cold towel. Once you have registered, changed and found your buggy, it’s off to the practice range to hit some balls. Here the caddie will hand you your clubs, and even pick up your balls from the pitching area. When it’s time to go, the starter will check your ticket, and then you are all ready to go. If you have never played with a caddie before, the experience can be a bit daunting to begin with, however you soon realise that they are there to make your round that bit more enjoyable. 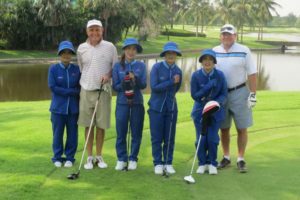 Most of the caddies at Thailand's golf courses are girls aged between 18-25yrs old and they make their living by caddying maybe 4-5 times a week. The club normally charges the golfer a caddie fee of around Baht300 and then it’s up to you to give them a tip at the end. If you ask them how much, the normal response is ‘It is up to you.’ Probably Baht300-500 tip for 18 holes is the norm, although if you go round in a low score or get a hole in one, then their tip can increase. Not only are the often very pretty and fun to be with, they know each hole as they see everyone play the course all year round. So they can give you the best advice on where to aim from the tee box, and how to read the greens. They will also hold your umbrella and fan you to keep you cool. If you stop at one of the drink stops, its often nice to offer them a drink too. Most caddies have nick names like Beer, Oil or Chop. Easy to remember! 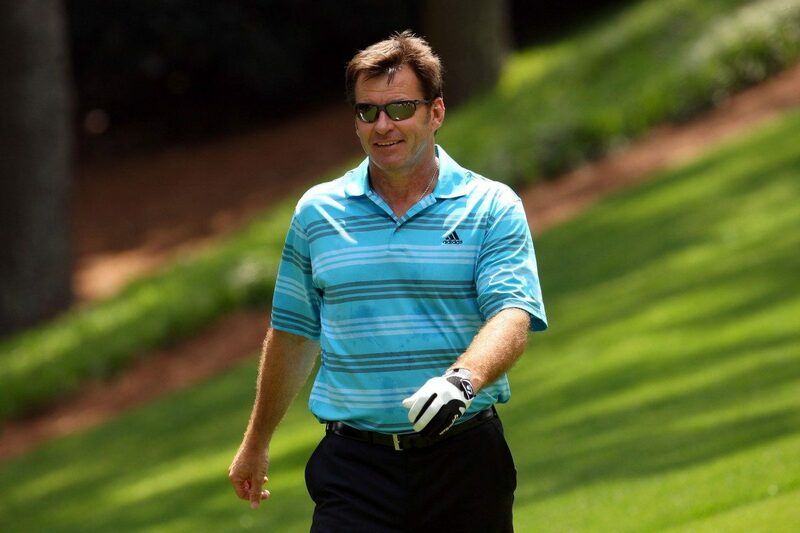 At the end of the round, your caddie will ask you to count your clubs before taking them back to your car. They will often give you a card with their name and number on. You then slot it into the box marked poor up to excellent! If you liked your caddie, make a note of her number, in case you return and want the club to book her for your second round there. Here’s just another reason why playing golf in Thailand is such a great experience.